I am celebrating a 'Blue Christmas' this year, but it is a happy one! It all started when we ( okay, I ) decided to paint the dining room. Our brown dining room walls were dark and it was time for something lighter and brighter. 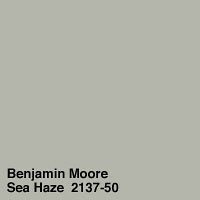 With the help of my very talented decorator friend, Vicki, who is amazing with colour, we chose Sea Haze by Benjamin Moore - 2137-50. This neutral grey has a touch of blue/green and takes on a pretty grey-blue colour in the dining room. It is a fresh change and I LOVE it! Once the room was painted it was time to think about Christmas decorating. Although I have never put up a tree in the dining room, I found a gorgeous golden tinsel tree and knew it belonged there. ( I still have a real tree in out family room.) 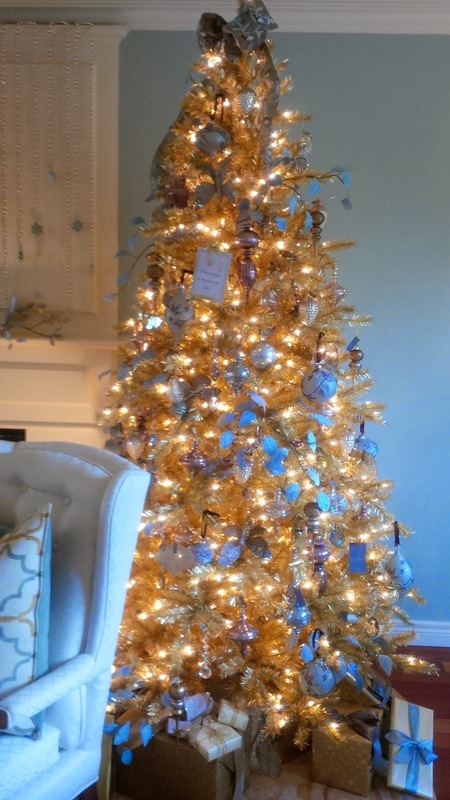 It creates a golden glow and is a lovely backdrop for an assortment of varying shades of blue ornaments. 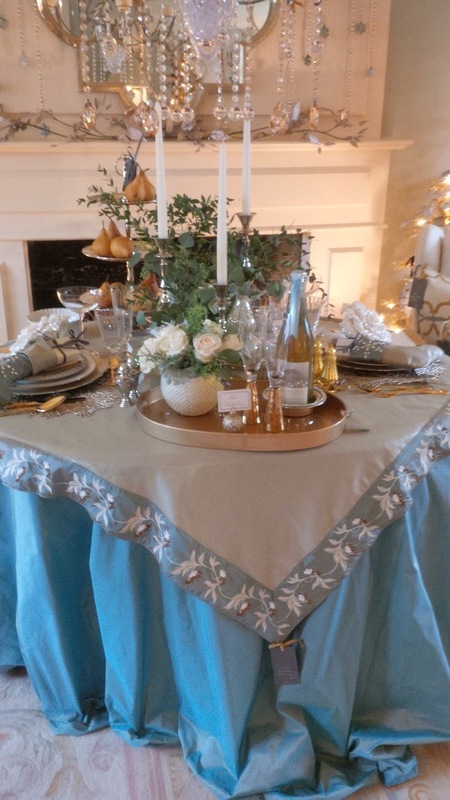 A small table in front of the fireplace is covered with a blue taffeta cloth and set with soft gold and champagne tableware and accessories. 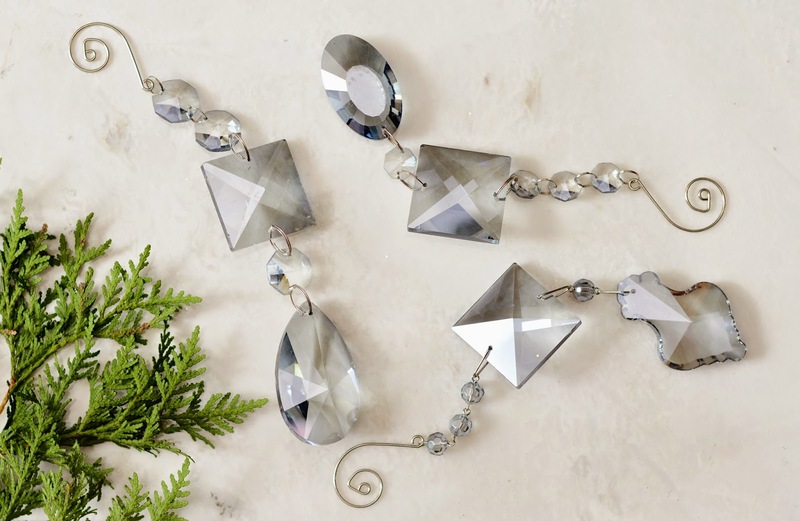 I selected evergreens for floral arrangements that have a blue-green colour - caroline sapphire branches, noble fir, cedar berries and seeded eucalyptus. 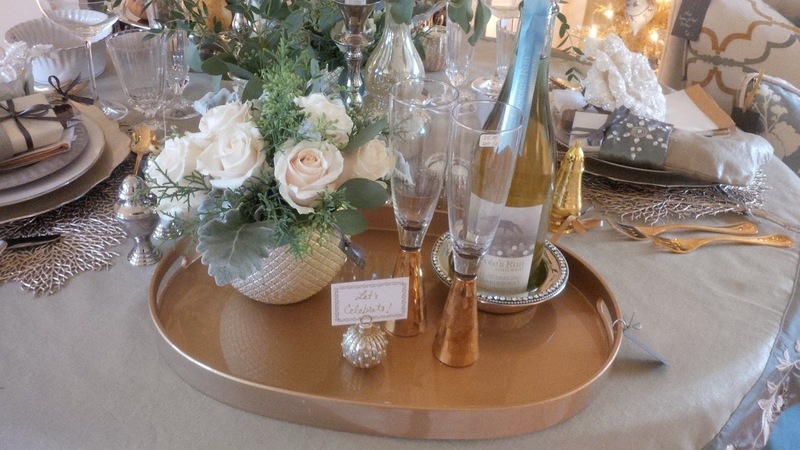 And elegant bottles of bubbly in my colour palette add to the festive decor! 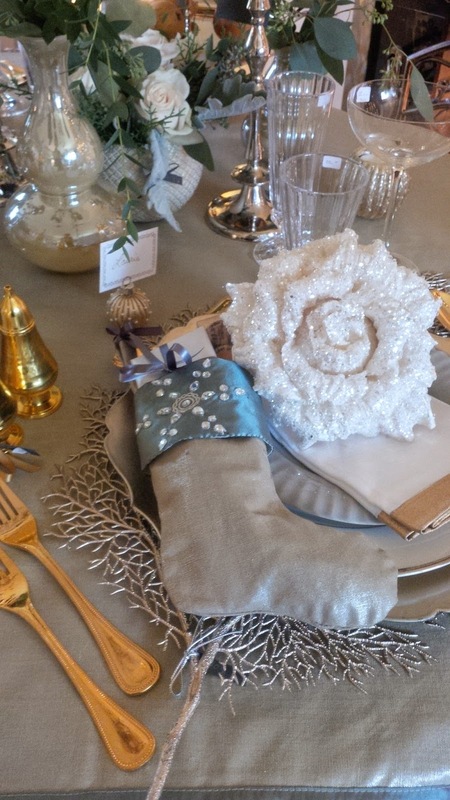 But I think that my most favourite element in the room is my fabulous blue poinsettia! It's not a true poinsettia colour but it isn't one of those unnatural spray painted ones. What attracted me to this pretty plant was the pale blue tint of the flowers, most likely dyed through the roots. I am thrilled with my new dining room and this dreamy blue Christmas colour palette. Who says a Blue Christmas is a sad thing? HAPPY Holidays!